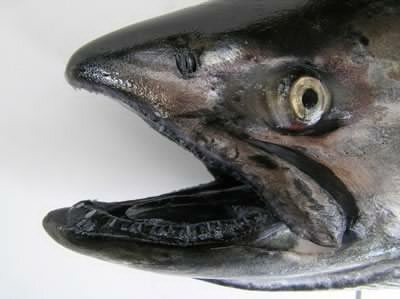 Chinook have a dark mouth and black gums at the base of its teeth. Immature chinook are known as a blackmouth. 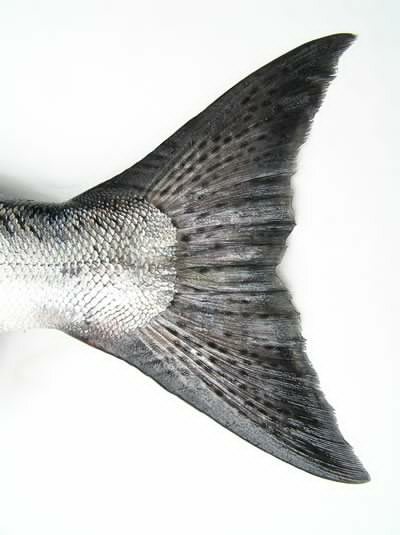 Both the upper and lower lobes of the tail are covered with spots and silver is prominent. Most chinook spawn in large rivers such as the Columbia and Snake, although they will also use smaller streams with sufficient water flow. They tend to spawn in the mainstem of streams, where the water flow is high. Because of their size they are able to spawn in larger gravel than most other salmon. Chinook spawn on both sides of the Cascade Range and some fish travel hundreds of miles upstream before they reach their spawning grounds. Because of the distance, these fish enter streams early and comprise the spring and summer runs. Fall runs spawn closer to the ocean and more often use small coastal streams. All chinook reach their spawning grounds by fall, in time to spawn.